The Swipe Slate Pro features a 5,000mAh battery and comes with Android Marshmallow out of the box. The device is exclusively available on Flipkart. 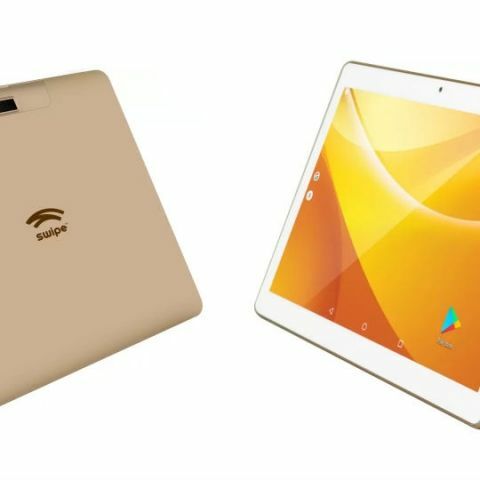 Domestic smartphone maker Swipe Technologies on Friday launched its Slate Pro tablet that comes with a 10.1-inch HD IPS display at Rs 8,499. Packed with a powerful 5000 mAh battery, Slate Pro is exclusively available on Flipkart, the company said in a statement. Powered by 1.1 GHz Quad-core processor, the tablet comes with 2GB RAM and 16GB in-built memory storage which is further expandable up to 32GB. The Android based tablet operates on Marshmallow 6.0. It supports 4G VoLTE with dual SIM slots and allows callings as well. Further, the Swipe Slate Pro comes with 5MP Rear camera and 2MP front camera.